The Ekoi people, also known as the Ejagham, inhabit the extreme southeastern region of Nigeria and parts of Cameroon. They are a hunting and farming people who live in scattered communities. 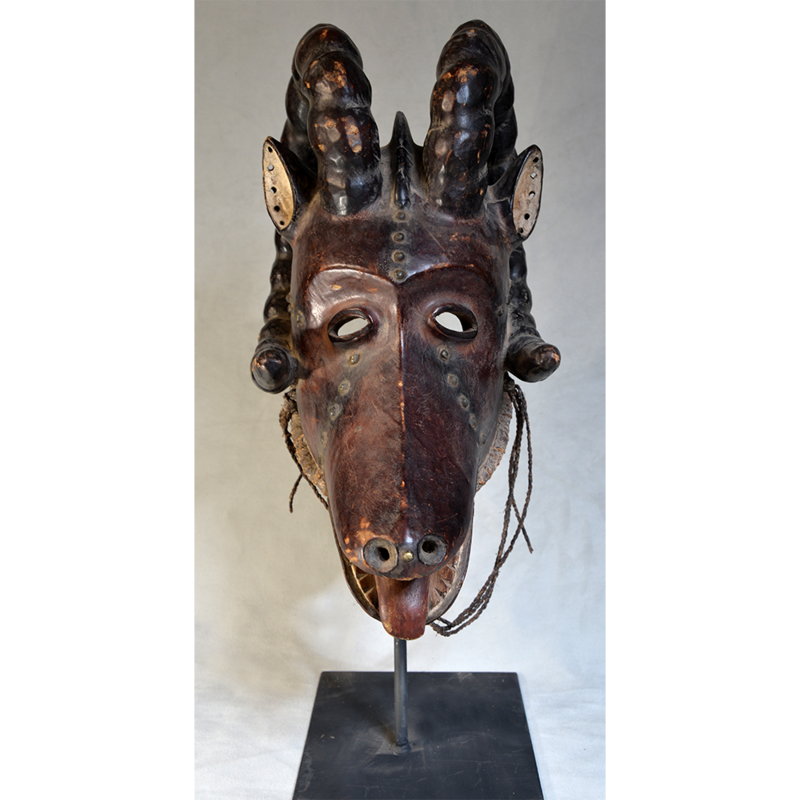 Each community has a Ngbe or Ekpo (Leopard) Society that helps coordinate political and social events. 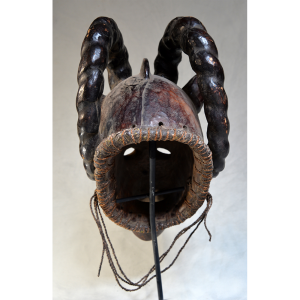 Most Ekoi masks take the form of a helmet or crest that sits atop the head. Unlike the masks of other African peoples, Ekoi masks are covered in leather. In the distant past, the skin of killed slaves was used, but now antelope leather is common. 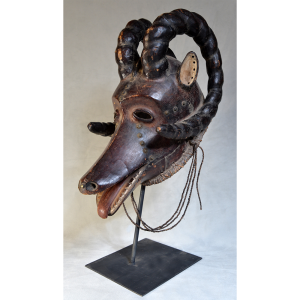 Animal masks such as these are used by the Obassinjom Society, dedicated to detecting and combating witchcraft and sorcery. The mask is fixed to the dancer’s head, adorned with feathers, and danced in a long, blue cloak adorned with magical charms.